There is a growing worldwide interest in energy storage and the technologies available to achieve this. At the grid level there are large scale energy storage schemes including pumped-hydro storage, flow batteries and compressed air. Further down the supply chain local energy storage (LES) systems are evolving coupled to renewable installations including solar PV arrays and wind turbines. A Local Energy Storage system will typically use Lithium-ion (Li-ion), Lithium Polymer or Lead Acid OPzS batteries. In a datacentre environment we would call these local energy storage systems, uninterruptible power supplies (UPS). They store electrical energy in a battery set for discharge when the mains power supply fails. Energy storage systems can also be used to charge battery sets overnight (when energy costs are at their lowest in terms of £/kWh) and then to discharge during the daytime when kWh costs are greatest. Energy storage systems can also be used to store energy during daylight hours (generated by solar PV arrays) and then to discharge this at night to power lighting and other electrical systems. The Tesla Powerwall is an example of Li-ion battery energy storage system. DC Voltage: the first thing to define is the Vdc of the connected solar PV array or wind turbine output. This could be 12, 24, 48, 96Vdc or greater. Knowing the Vdc figure provides our engineers with the necessary information to specify the battery blocks required per battery string. AC Output Voltage: what do the loads require in terms of voltage, frequency and phases. In the UK we use 230Vac 50Hz single phase or 415Vav 50Hz three phase. Off-grid or Grid-tie: off-the-grid means that the installation has no grid connection. A Grid-tied system is tied to the grid and is a semi-autonomous electrical generator or storage system, connected to the means with the potential to feed excess capacity back to the local mains grid for a feed-in-tariff (FIT) at a specific price per kWh. Load: this is best done in tabular format listing the AC or DC load name, type, quantity, hours of use per day, power (Watts) and calculating the total Watt hours per day. Autonomy: how long do you want the battery to run for? This should take into account both time off the mains and when mains is present if the local energy storage system is to be used to provide power during peak energy cost periods and not just standby power. Depth of Discharge DoD: this is the lowest level of discharge the battery is expected to reach without damage to the overall battery capacity. Depth of Discharge can run from 10-50% dependent on usage: whether daily cycling or used for infrequent backup. Depth of Discharge is closely tied to Cycle lifetime and the number of expected charge/discharge cycles a battery is designed for. The lower the DoD the greater the number of cycles the battery can provide. For example, a battery with a DoD of 50% may be capable of 1000 cycles before its capacity starts to reduce. At 20% DoD, the battery may last over 3000 cycles. At a daily discharge rate, this equates to a battery lasting from just over 3 years (at 50% DoD) to over 9 years (at 20% DoD). 50% is a typical factor for renewable applications and daily cycling to ensure the battery is oversized to provide a reasonable life expectancy. Battery Type: lithium-ion batteries are more suited to frequent cycling and are less affected by ambient temperature. 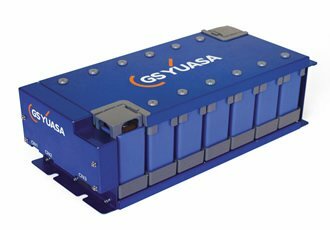 Li-ion batteries do however require a more sophisticated battery monitoring system than lead acid due to their need to more complex charger controls to avoid over charging and thermal runaway. In general, lead acid batteries are more suited to standby and less frequent cycling and require less sophisticated charging systems. Other considerations include on-site AC and DC electrical works (both of which can be provided by EcoPowerSupplies) and the charger and inverter assemblies within the energy storage system. For existing installations it may be necessary to remove the installed wind power or solar inverters. This is because their original design did not include connection for an energy storage battery pack or that the proposed system includes an inverter as part of the complete package. With the above information our power engineers can size and cost the most appropriate energy storage battery for your application. For future projects our engineers can work from drawings and a system schematic. For existing systems we provide a complete site survey. If you have an energy storage project please call us on 0800 210 0088 or view our range of renewable storage solutions.